Right now, Rwanda’s economy is experiencing hard times. Really hard. The country spends three dollars, but only earns one dollar. For five years, from 2010 to 2014, the average current account deficit was almost 9% of the GDP. And then in 2014, the deficit stretched to 11.8% of GDP, its highest level since the mid-1990s. The country had projected, under the Economic Development and Poverty Reduction Strategy (EDPRS II), Rwanda’s development blue-print, to earn slightly higher than $2 billion, in 2015, but it fell short of 45% and earned only $1.121 billion (55%). The traditional exports declined mainly due to a crisis in the mining sector, which earned just $149 million.The sector had earned $226.2m in 2013 and projections were to fetch around $400m by 2017. This is obviously not likely to happen. Who will fix Rwanda’s economy? Policymakers in Rwanda are losing sleep. They have a nagging matter on their table to fix, as matter of priority. A series of endless meetings, are being held. They call them ‘consultative meetings’. In these meetings, some make power-point presentations or call them ‘situation analysis’, while others react by asking tough questions and making suggestions as solutions. The ‘consultative meetings’ are about one thing. Just one; the economy. Right now, Rwanda’s economy is experiencing hard times. Really hard. Apparently, the country spends three dollars, but only earns one dollar. 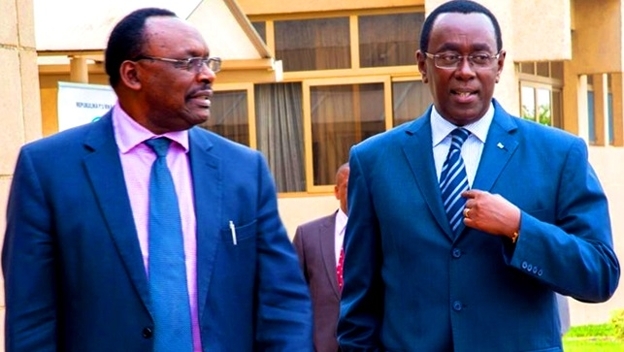 Meanwhile, the country had projected, under the Economic Development and Poverty Reduction Strategy (EDPRS II), Rwanda’s development blue-print, to earn slightly higher than $2 billion, in 2015, but it fell short of 45% and earned only $1.121 billion (55%). According to Finance Minister, Claver Gatete, there are two main reasons for this poor performance. First, there is a strong growth in imports while exports remain vulnerable to price fluctuations and lack of economic diversity. Secondly, there is a sharp decline in public transfers. Basically, the government is cutting spending and embracing frugality. Indeed, in 2015, the economy was hit harder. The deficit widened even further. Exports fell dramatically. The value of the export portfolio is heavily dependent on international prices and other geopolitical factors beyond Rwanda’s influence. The traditional exports declined mainly due to a crisis in the mining sector, which earned just $149 million. The sector had earned $226.2m in 2013 and projections were to fetch around $400m by 2017. This is obviously not likely to happen. “We need to add value to our minerals,” says Evode Imena, State Minister for Natural Resources. Prices for minerals, particularly Cassiterite and Coltan are declining for several factors. Asian countries such as Burma, have increased production and swarmed the market. Factories are also recycling used products and making smaller gadgets thus consuming less raw minerals. The way the market is happy about the decline in oil prices, is the way it is happy with the decline in price for minerals. “But we still have market,” says Jean Marie Kalim, Director General for Wolfram Mining and Processing Company (WMPC). Kalim says the industry needs a boost from government in form of waivers. He said despite the increase to 4% tax from 0%, which the sector has complied to, the government has exempted the 15% withholding, but maintained the ‘principle’ which deters financiers from transferring funds prior to a purchase, yet local banks are reluctant to finance the sector. Minister Gatete says the matter will be discussed and resolved through a public-private partnership platform. Meanwhile, other factors increasing the trade balance deficit include political instabilities in the region, according to Trade Minister Francois Kanimba. The situation in Burundi is hurting economies of its neighbours so was DRC, which has stabilised recently. Earlier, the skirmishes in Eastern DRC, which is Rwanda’s major export destination, had affected trade significantly. Now, according to central bank data, the situation had improved. By the 2nd quarter of 2015, exports which are dominated by milling industries especially food and beverages, edible vegetables, roots and tubers and live animals exported to DRC increased by 28.9% in value and by 30.9% in volume. But again, that is just a drop in the ocean. Rwanda’s imports continue to stretch. Such imports include textile, electronics and food products, among others. Central Bank governor, John Rwangombwa says items such as wheat, sugar and rice continue to widen the deficit. Sadly though, Rwanda imports even items the country should produce. 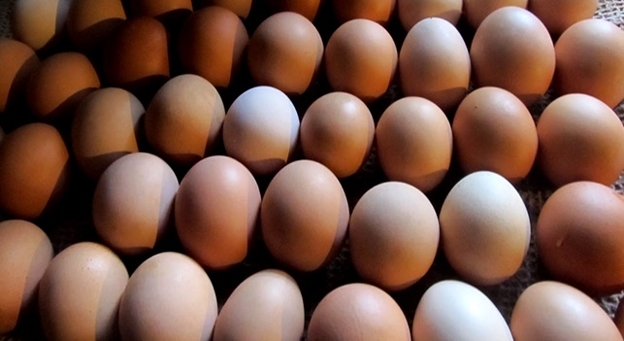 About 300,000 eggs from Uganda alone, are imported per week. More so, chicken is one of the most expensive meats per kilogram in the country. However, State Minister for Agriculture, Tony Nsanganira says the country now imports 150.000 day-old chicks every month from Uganda, Belgium and Holland hoping this will close the gap. On Wednesday, the Senate invited strategic institutions including the ministries of trade, finance and economic planning, agriculture, natural resources and the Rwanda development board to digest this daunting challenge. Senate President, Benard Makuza, presiding over a “consultative’ discussion to cope with the trade balance deficit, said the senate intended to engage various players. He indirectly was suggesting there be no blame games, but a candid talk. Minister Kanimba, before giving suggestions, opened up to some of the biggest obstacles the economy is facing. First, he said, the main crosscutting constraints to export growth include the lack of access to land or high cost of land acquisition. “We have the free trade zone,” he said, but it is very expensive and is not a competitive advantage compared to other countries in attracting investment. A square meter costs Rwf40.000. “This is not competitive at all,” he said. Harder obstacles he said, include low capacity utilization of manufacturing companies due to; inadequate infrastructure, unreliable supply of raw materials, unreliable and expensive electricity, inadequate long-term financing and working capital. He also said the country faces a serious lack of technological advancement and skilled labour. fluctuated, when at the same time export cover is fluctuating with them. Yet, he added, despite commercial banks foreign assets have increased substantially throughout the most recent period until this year where they were hit substantially by uncertainty and a depreciating Rwandan Franc. Before other ideas were fronted, the Vice Chairperson of the Rwanda Elders Advisory Forum, who was invited to the discussion, wondered how Rwanda exports live cows to, for example, DRC. “We have an abattoir in Rubavu with capacity for slaughtering 300 cows per day, but we export about 60 cows to DRC..which means the facility operates under capacity,” she said. More ideas came in. Some members from the business community were invited too. Serial entrepreneur, Sina Gerald, who is entrenched into agro-processing, suggested there be continuous research into better agriculture to facilitate making informed decisions. The talk went on and on and then Senator Tito Rutaremara broke the ice. “We are sacred (of the imbalance), it is growing wider,” he said. “We need to think big…let us focus on high value products…for example look at France, it will sell just three Airbus planes and be happy.